Plant this card and grow thyme! 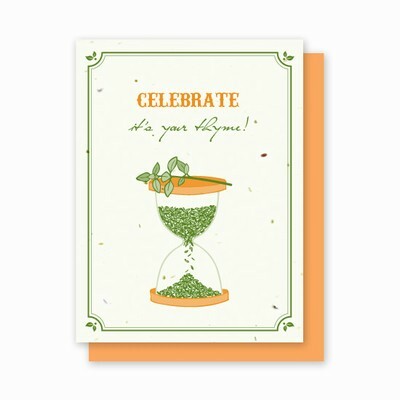 Introducing our new line of Grow-a-Note® plantable greeting cards embedded with vegetable and herb seeds. Available in various sentiments, the greetings are cleverly associated with the featured seeds that are embedded in the paper used to make the card. They are guaranteed to impress the cook, the gardener or anyone in your life.